Something truly unique and sweet! 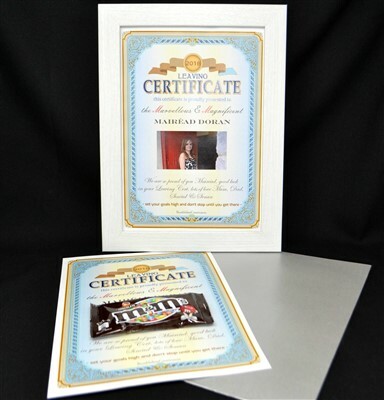 Our unique personalised certificates make the perfect alternative greeting card for someone special. A4 personalised certificate complete with a pack of chocolate M&Ms (exam brain fuel) and outer envelope. Your greeting is printed the bottom where you see the script text.